Short on time? 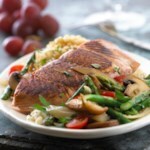 This 15-minute salmon and asparagus recipe is the perfect solution for busy weeknight dinners. Thaw fish, if frozen. 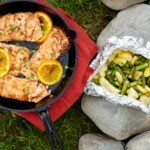 Line a large shallow roasting pan with foil and place pan in a cold oven; heat oven to 450°F. Meanwhile, in a small bowl combine parsley, lemon peel, and pepper. Remove half of the parsley mixture and set aside. 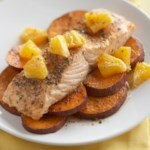 Cut salmon into 4 portions. Rub remaining half of mixture over skinless tops of salmon portions. 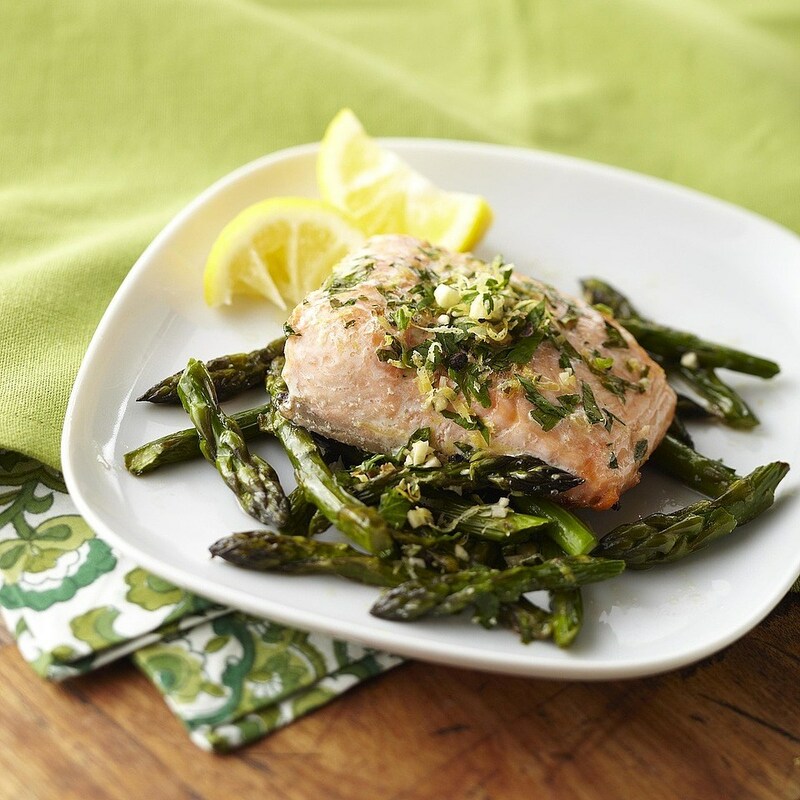 In a medium bowl combine asparagus, olive oil, and salt. Remove roasting pan from oven. Place fish portions, skin side down in the pan. 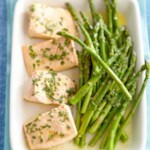 Place asparagus in a single layer in the pan around the fish. Return pan to oven. 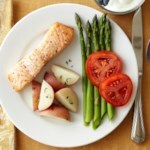 Roast for 14 to 16 minutes or until fish flakes easily when tested with a fork and asparagus is crisp-tender. Add minced garlic to reserved parsley mixture. Sprinkle over cooked fish. 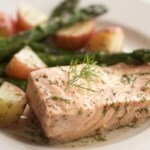 Serve with asparagus and lemon wedges.